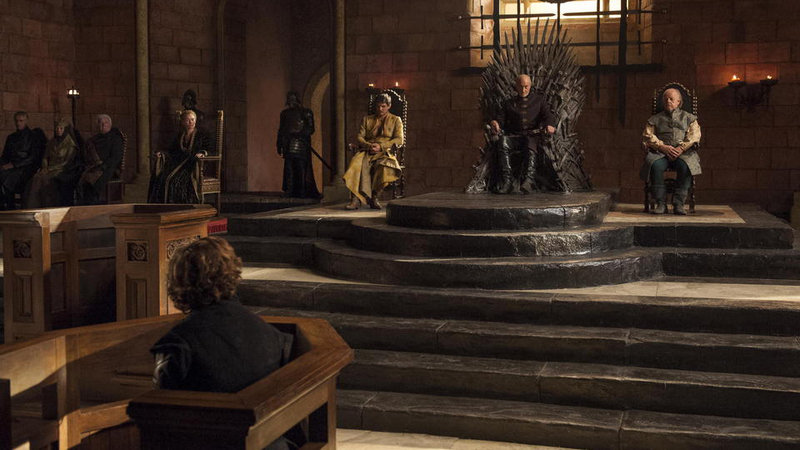 The trial of Tyrion Lannister: take 2. 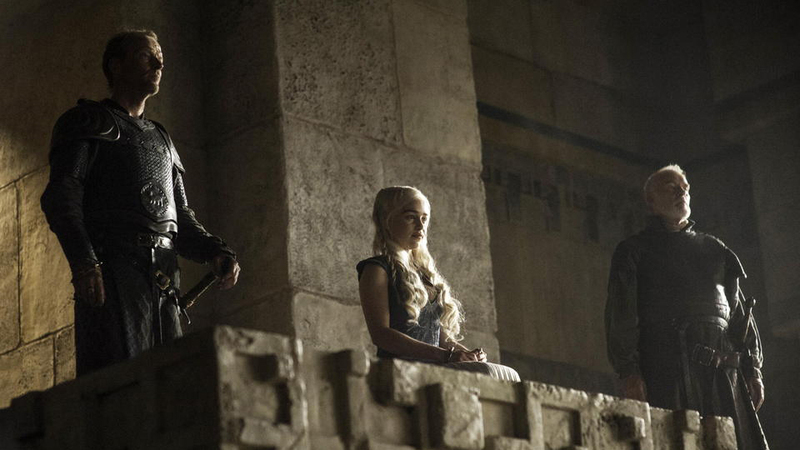 As Tyrion’s trial begins, he soon finds out he has very few friends left in Kings Landing. Some of the best “Game of Thrones” episodes so far have focused solely on one segment of the story. 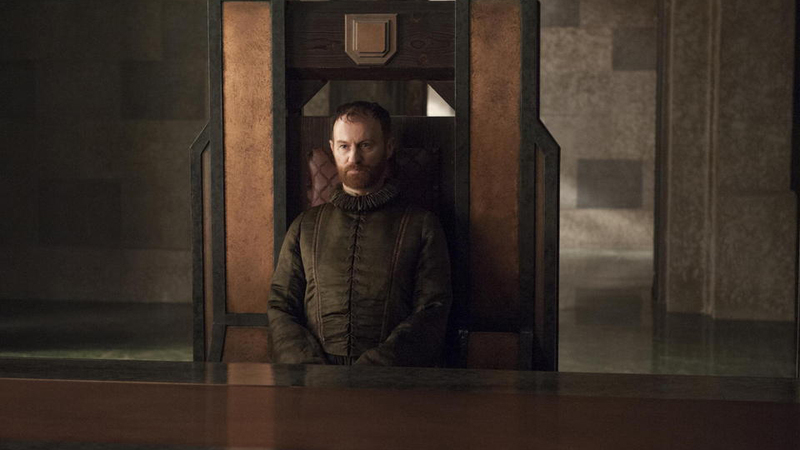 While we didn’t quite get that this week, the second half of “The Laws of Gods and Men” largely took place in Kings Landing and was nothing short of phenomenal. 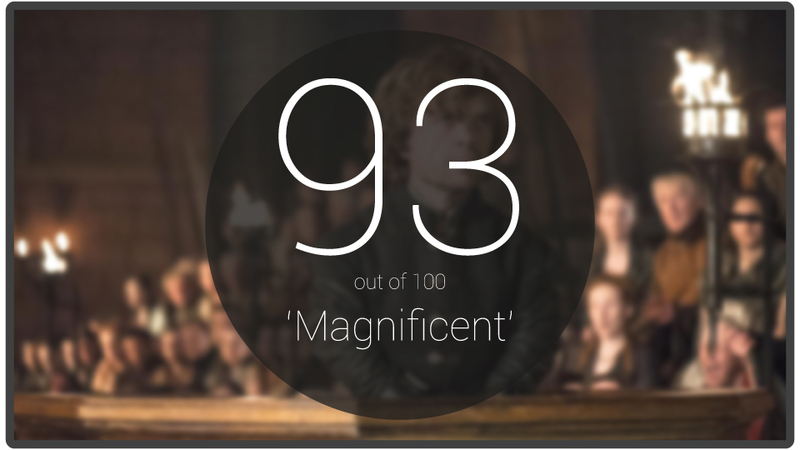 The trial of Tyrion Lannister has been looming for weeks now and when it finally arrived, it certainly didn’t disappoint. We knew the odds were stacked against Tyrion from the very beginning, but seeing it all play out like this helped show just how royally screwed over he had been. Witness after witness was paraded out in front of him and each one delivered a more damning testimony than the last. With Tywin sitting over the proceedings and Cersei sneering on from the sidelines, the task ahead of Tyrion became very clear. Varys was the first surprise witness to take the stand much to the disbelief of Tyrion. Tywin’s fellow judges, Prince Oberyn and Mace Tyrell, offered up a good contrast as Mace appears to be nothing but Tywin’s lapdog/puppet while Oberyn listened intently to all that was said. I’ve spoken about how Oberyn is a bit of wildcard this season, so make sure to keep an eye on him going forward. Jaime found himself stuck in the middle again this week as he had to sit through the “farce” of a trial with his sister on one side and brother on the other. Knowing full well where this was headed, it was good to see the noble side of Jaime come out again as he pleaded with his father to put an end to it all. Willing to sacrifice any hope of a life with Cersei so that his brother could live out his days in The Night’s Watch, Jaime agreed to give his father exactly what he wanted. Of course any deal between Tywin and Jaime would require Tyrion to go along with it, which wasn’t going to go smoothly when the final witness was called. Having Shae testify against Tyrion was a great, albeit heartbreaking twist. While I felt they’ve never been the strongest pairing in the show, Peter Dinklage absolutely sold the hell out of these scenes. His completely defeated look after realizing Shae had betrayed him was incredible, as was his later reaction as he rounded on the occupants of the throne room, hissing “I should have let Stannis kill you all!” as they jeered him. As Jaime looked on helplessly, Tyrion demanded trial by combat. As we know from the first season, his fate will now be decided by one-on-one combat between two chosen warriors. Whoever either side picks, it’s sure to be an incredible bout. Daenaerys got her first real taste of day-to-day ruling as she received visitors from all parts of the city. With over 200 citizens in line to see her, ruling on a daily basis may prove to be a rather tedious activity! Two people of note came to visit her. Hizdahr zo Loraq, the son of one of the old slave masters of Meereen, pleaded with her to let them give the dead masters a proper burial. Daenerys showed her quality as a Queen here as she didn’t back down in her belief that the Masters deserved what they got, but did grant Hizdahr his request. The second visitor of note was a shepherd whose flock was burned and subsequently eaten by her fearsome Dragon. Considering his young son came close to getting caught in the flames, it’s a timely reminder of how dangerous her “small” dragons are. It pains me to say this, but there’s only four episodes left this season! Damn time really does fly. Season 4 has been ploughing along steadily now, and I have the feeling it still has another gear or two left to move up into. After the events of the trial, Tyrion’s trial by combat will obviously be a huge thing to look forward to in the coming weeks, while those pesky wildlings are still plotting their assault on The Wall. With so many memorable moments already so far this season, there’s surely a few more shocks to come in these final four episodes.